Tennis elbow or lateral epicondylitis is painful condition of the outer aspect of elbow due to overuse. 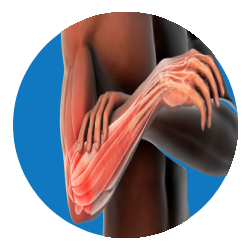 It’s an inflammatory condition of the extensor tendons of the forearm at the outer aspect of elbow leading to pain. It involves removing the damaged muscle and reattaching the healthy muscle at the elbow.